There were 456 press releases posted in the last 24 hours and 153,498 in the last 365 days. BEND, OR, May 17, 2018 /EINPresswire.com/ -- The Astronot, an independent feature film set during the 1960’s space race, will premiere at two screenings this weekend: The Hollywood Boulevard Film Festival (Hollywood, CA) and the MayDay Film Festival (Evansville, IN). 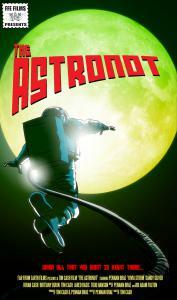 The Astronot is currently on the film festival circuit and already winning dozens of awards. The film’s premiere screenings are at The Hollywood Boulevard Film Festival is at The Complex Hollywood Theatre in Hollywood, CA and will show the film on Friday, May 18th at 7:30 PM. 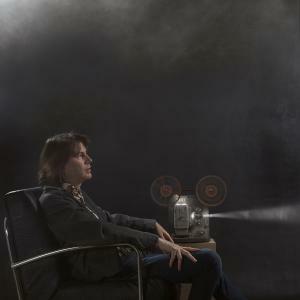 The MayDay Film Festival at the Showplace Cinemas South in Evansville, IN and will screen Friday May 18th at 9:15 PM. The film follows Daniel McKovsky, a young man who lost his parents at a young age and whose only solace is in his fascination with space travel and the cosmos beyond. Then one day at the age of 30, he meets outgoing postal worker, Sandy. This new inclusion into his otherwise lonely existence forces Daniel to confront his darkest fears of loss and emptiness and will lead him towards becoming, The Astronot. 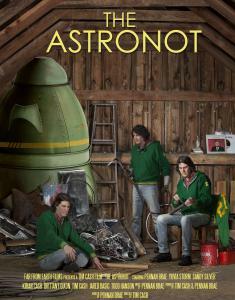 The Astronot was filmed in Bend, Oregon (USA), using local (OR) cast and crew, including director, Tim Cash (Far From Earth Films). The Astronot has already won accolades at various international film festivals in the USA, UK & Europe including Best Actor (Pennan Brae), Best Score (Pennan Brae) and Best Trailer. To learn more about The Astronot please visit www.TheAstronot.com.